It has been a busy two days for Cornelia Parker. On Wednesday (7 February) the UK’s first ever female election artist was to be found in the grand setting of Parliament’s Westminster Hall, celebrating the unveiling of her two films and 14 photographs made in response to the 2017 snap general election. In his speech to the gathered throng—which included the artist Bob and Roberta Smith and musician Jarvis Cocker—the Tottenham Member of Parliament David Lammy echoed everyone’s feelings that saluting the first female election artist during the 100th anniversary week of female suffrage couldn't have been more appropriate. (Even if the 1918 Representation of the People Act only gave some women the vote.) Parker’s films—one of which, Left, Right & Centre, was made by unleashing a drone into the Chamber of the House of Commons, and the other, Election Abstract, made from all the images from her much followed @electionartist Instagram feed—are also the first digital works to enter the Parliamentary Art Collection. 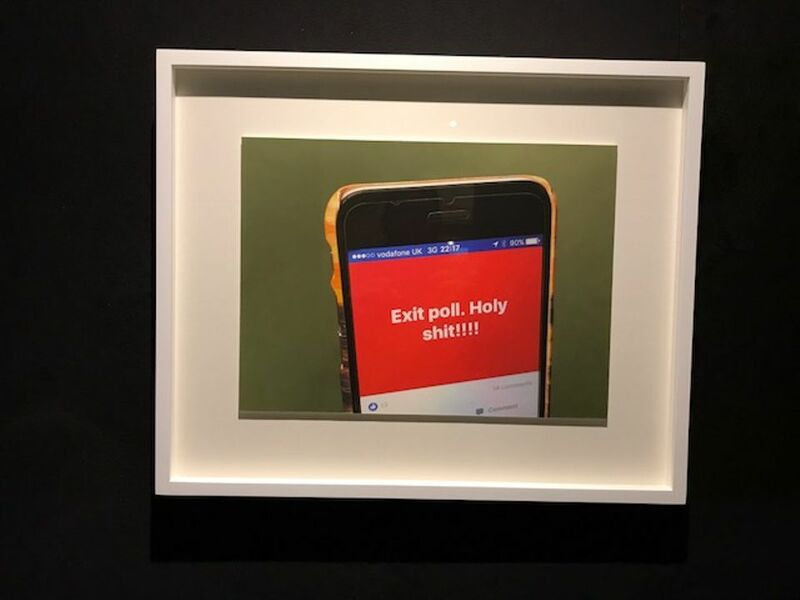 While Parker said she enjoyed the challenge of “aiming to be a non-partisan witness”, as per the remit of an official election artist, her wryly mischievous eye has been much in evidence throughout the images she gathered over this momentous period. 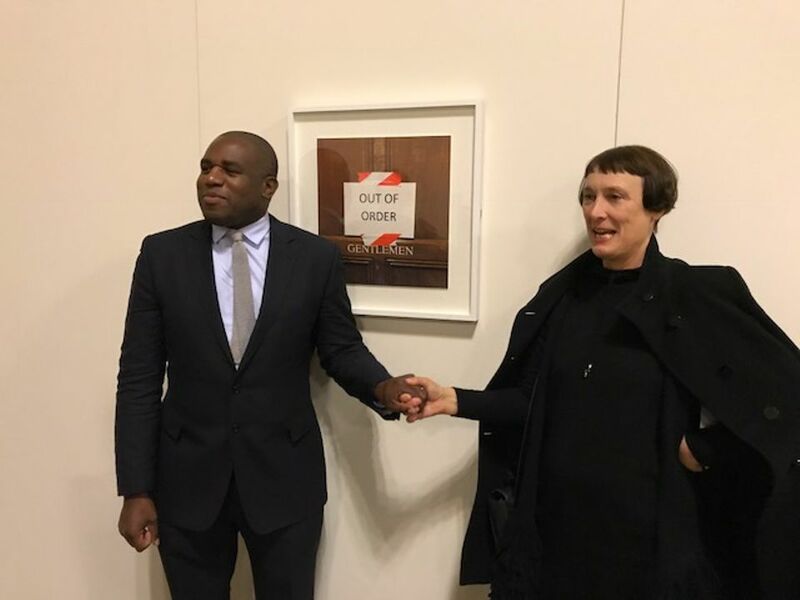 The suffragettes would certainly have approved as she posed with Lammy in front of a photograph she’d snapped of a lavatory door saying both “Gentleman” and “Out of Order”. Then last night (8 February) Parker was to be found in Cambridge at the grand re-opening of Kettle's Yard after two years of redevelopment. This unique art-filled former home of the collector Jim Ede has been transformed and expanded by a sensitive new building by Jamie Fobert Architects, with the original knocked-through cottages meticulously restored with such a light touch that you wouldn't know. Here, in what was the bedroom of Jim Ede’s wife Helen, Parker has made a subtle and beautiful intervention in which the panes of glass on the two windows have been covered with a dappled veil of white marks made from the chalk of the white cliffs of Dover. “With Brexit and today’s jingoism, the White Cliffs popped back into my consciousness,” she says. Fittingly, while Helen Ede used to retire to her room to escape the stream of visitors welcomed by her husband, Parker’s work also evokes both a sense of sanctuary and confinement while responding to what she describes as the “geologies” of the house, with its famous collections of found pebbles. Parker’s window drawings form part of the opening show Actions: the image of the world can be different (until 6 May), which combines the work of international contemporary artists with classic pieces from Kettle’s Yard collection. 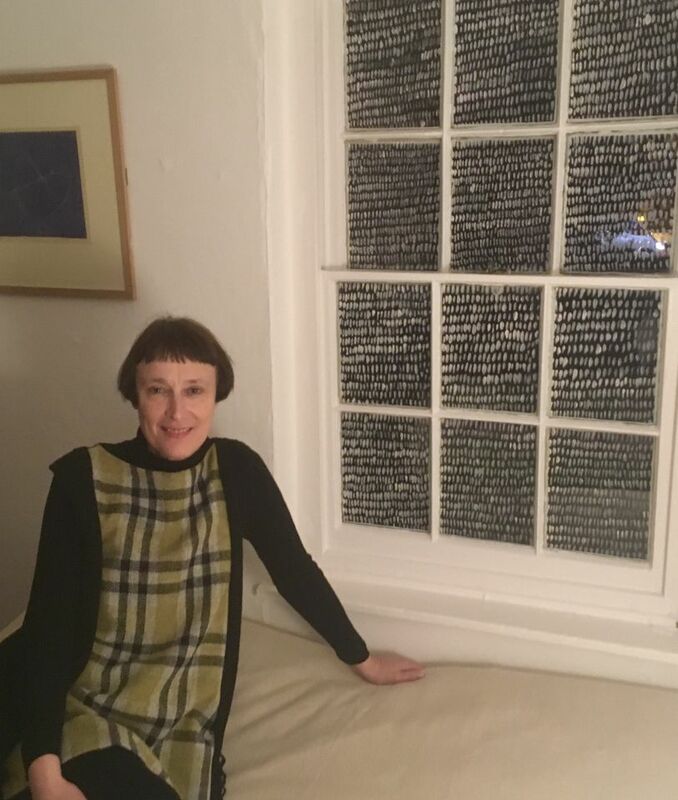 At the opening last night, Mrs Ede’s bedroom provided an especially welcome oasis of calm amidst the crowds of Kettle’s Yard enthusiasts who filled the new gallery, education and café spaces. 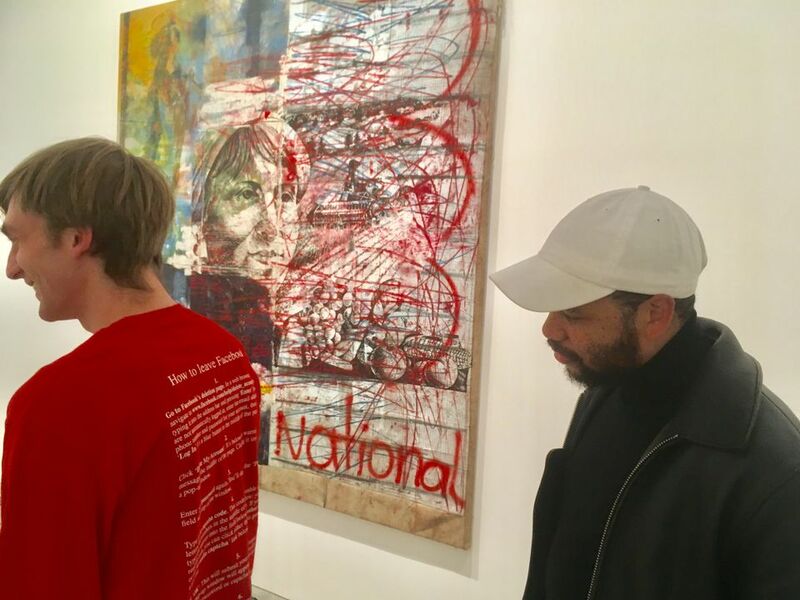 This art world gathering ranged from the artists Oscar Murillo, Alice Channer and Richard Long to the Tate Modern director Frances Morris and the National Portrait Gallery’s Nicholas Cullinan, to name but a few. As well as Parker’s chalky windows there are also a number of other artist’s commissions in and around Kettle’s Yard which, in their different ways, invite a pause for thought and the chance to view the world from a different perspective. Among these are Rana Begum’s wave-like structure of 2,000 woven bamboo baskets from Bangladesh inside the nearby St Peter’s Church and a long-sleeved t-shirt by Jeremy Deller, worn by the gallery staff, which bears an Aretha Franklin playlist on the front and instructions on how to leave Facebook on the back. The former provides a richly contemplative experience, while the latter has the added benefit trying to change the image of the world (and can also be purchased in the gallery gift shop).